It was a chilly, overcast December afternoon and I had bumped into Mahmoud at the port in Chios, Greece, where he had been coming for days in the hope of catching fish to take back to his family — his pregnant wife and three little girls aged 12 and under — who were waiting for him at the camp. The camp in question is called Vial, where it is estimated between 1,500 and 2,500 people reside as they await their fate. They are among some 60,000 asylum seekers who are now in Greece, some of whom are in camps on a string of island “hotspots” under a policy of “containment.” Implemented since the 2016 signing of a deal between the European Union and Turkey (“the EU-Turkey refugee deal”), this policy aims to keep refugees and migrants at arms length, as Europe tries to push its so-called refugee crisis into neighboring Turkey. Conditions in Vial camp are tough. It is situated approximately 8 km from the port of Chios, in the middle of an olive grove and close to the village of Chalkios. The residents are consigned to tents or prefabricated containers, neither of which are truly suited to winter conditions in the camp, where nighttime temperatures drop to single digits, and where strong winds and rain blow right through the tents. 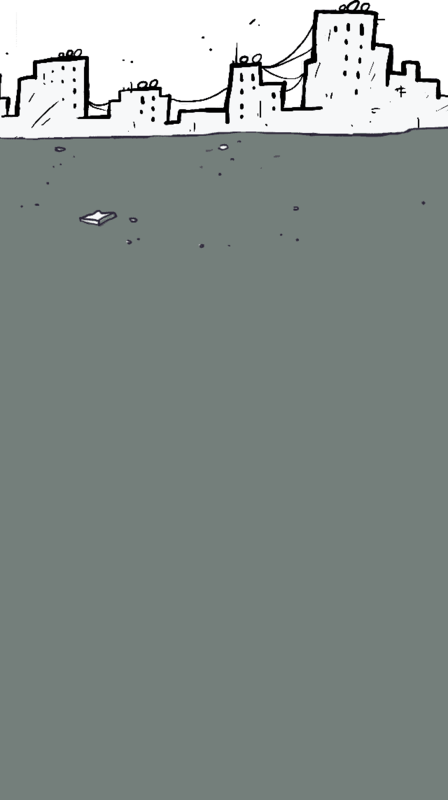 My first visit to the camp, in late November 2017, was on a rainy day and everyone was ankle-deep in mud as they tried to dodge the puddles that had formed all over the place. There are a limited number of apartments allocated to “vulnerable” cases, and staff from the United Nations High Commissioner for Refugees (UNHCR) have the unenviable task of deciding whose misery, among an already vulnerable, uprooted population, outweighs that of others. Generally, pregnant women, the elderly or people living with disabilities are prioritized for housing. Nevertheless, Mahmoud’s wife, who was about six months pregnant when they arrived in Chios, was told no housing was available for them. And so, she and her three daughters huddle on the ground in a tent, the young girls clinging fearfully to their mother. Just a week before I met Mahmoud, he had found a snake in their tent. Sanitary conditions at the camp are abysmal. In the port, a small NGO that works with women on the island runs daily buses from the camp to their premises, offering women the opportunity to take warm showers with a degree of privacy. 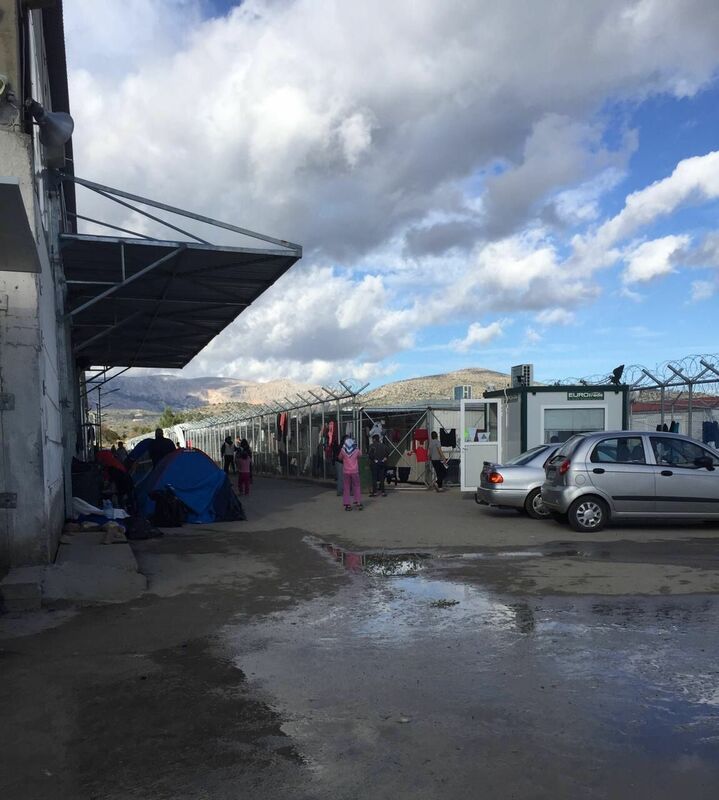 The government-run camp is not equipped with kitchens and food is provided by the Greek military, which has been the subject of many complaints. About two months ago, a picture of hundreds of untouched food trays that the refugees had sent back in protest over camp conditions went viral on social media. This is why Mahmoud and other men like him spend time fishing at the island’s port. When they get a good catch, they take the fish back to the camp, clean them and cook them over an open fire. Sometimes, the camp residents take a bus into town and eat at the restaurants that they have found to be more friendly to refugees and migrants. One shop owner saw the arrival of migrants as an economic opportunity and started to make shawerma sandwiches, which he sells for 2 euros each. With Arabic and Farsi signs on his shop window, his eatery has become a popular spot, where, on any given afternoon, a mix of Iraqi and Syrian Arabic dialects, as well as Dari and Farsi, can be heard overlapping. Not all locals have adopted this welcoming attitude, however. It is also possible to hear many of them, especially business owners, grumble about the ways in which the arrival of migrants and refugees has spelled disaster for tourism. Chios, the fifth largest Greek island, lies just 7 km off the Anatolian coast in the Aegean Sea. Overall, the number of arrivals by boat to Greece is a mere fraction of what it was at the height of the crisis in 2015. According to the UNHCR, there were some 856,723 arrivals by boat in 2015, whereas this number dropped to 29,718 in 2017. But there are still arrivals, and resentment toward refugees and migrants in mainland Greece and the EU is palpable. To better understand the current situation, it is important to take a step back. For more than two decades, EU member states have grappled with the issue of migration, specifically the question of how to ascribe responsibility for asylum seekers and refugees among various states. The Dublin Regulation, an EU law that was meant to prevent people from traveling from state to state and applying for asylum in each, requires the country in which a person seeking asylum first arrives to process their claim. At the height of the so-called refugee crisis, in the summer of 2015, Germany became the first country to suspend the Dublin Regulation, and so tens of thousands of refugees arriving in Greece simply moved on to Germany, and also to the Netherlands, Sweden and other Northern European countries. As the political tides shifted, these countries closed their doors, as did transit countries that refugees passed through, like Hungary and Serbia, who did not want to be stuck with them. In fact — somewhat ironically, given their own history — Eastern European countries have taken the harshest anti-refugee stance of all European countries. In November 2017, for example, tens of thousands of ultranationalists marched in Poland chanting anti-refugee slogans. The EU and Turkey signed a deal on March 18, 2016, under which Turkey would prevent people from entering into Greece and keep refugees and asylum seekers in its territory, in return for aid from the EU. Meanwhile, Greece was left to cope with the refugees already on its soil. During a trip I took to Greece in April 2016, just weeks after the deal went into effect, I saw thousands of refugees camped out in Idomeni, a small village near the Greek-Macedonian border, their journey brought to a halt. Thousands of other people were also at Piraeus Port in Athens, waiting for the borders to reopen in order to continue their journey. At the time, most people I spoke to had no intention of remaining in Greece, a country experiencing an economic crisis. However, the borders remained relatively closed, and most people were either moved to camps in various parts of mainland Greece, or found other ways of surreptitiously moving on. Of those remaining in Greece, some applied for asylum, and others applied to be reunited with family members already in other EU countries. Since then, the EU and Athens have been implementing a policy of containment, blocking those who arrive on the islands from moving to the mainland. There is a concern that once people reach the mainland, it will be easier for them to move onto other European countries. Rather, they remain in what are termed “hotspots,” facilities located on a cluster of islands close to the Turkish coast, among them Vial on Chios. Upon arrival, asylum seekers are registered and issued documentation — referred to as the Khartia. Everyone’s Khartia initially bears a red stamp, which restricts movement to the island itself. It is on this “hotspot” that interviews are held, either with employees of the European Asylum Support Office (EASO) — the body created by the European Commission to facilitate the implementation of a common asylum system within the EU — or with the Greek Asylum Service (GAS). Because the EU-Turkey deal was meant to discourage arrivals from Turkey, the EASO interviews focus on questioning applicants about why they left Turkey, rather than why they initially fled their country of origin. The proceedings have been bifurcated in a way — an initial “admissibility interview” (where the focus is on conditions in Turkey), followed by the “eligibility interview” (where the focus is on conditions in the country of origin). In effect, every effort is made in the initial phase to establish that Turkey is in fact a “safe third country,” where adequate protection is available, and to where asylum seekers might be returned. This excessive emphasis on the conditions of refugees and migrants in Turkey, a place where many of them barely survive, undermines the spirit of international refugee law. I was surprised to see that even those who spent minimal time in Turkey, essentially using the country exclusively for transit purposes, were also questioned about this. It is well known that the overwhelming majority of people who flee their countries seek protection in neighboring states. In the context of the Syrian conflict, not surprisingly, it has been Turkey, Lebanon and Jordan that have hosted the largest number of refugees and asylum seekers. It is also a reality that migrants will sometimes move onwards from their initial host country, especially in what are known as Protracted Refugee Situations. The UNHCR defines these as situations in which refugees find themselves in a longstanding and intractable state of limbo, generally five years or longer, with no prospect of a solution to the conflict that initially drove them out of their home countries. Refugees and migrants in host countries in the MENA region may be removed from the wars or other political crises affecting their home countries, but they often face a set of difficult obstacles hampering their full political, legal, economic and social integration. For example, the majority of MENA host countries lack local legal frameworks that would enable refugees to eventually obtain full lawful residence. Additionally, refugee status does not automatically confer a legal right to work. Most refugees are forced to work illegally, and are consequently more vulnerable to abuse and exploitation by their employers. It is therefore not a surprise that some move onwards from the MENA region to Europe, in hopes of attaining a more secure and stable future for themselves and their families. In light of the extremely limited channels for legal onward movement via resettlement, it is also no surprise that many move onwards irregularly. Some were able to bypass the first phase of questioning, and instead of being examined by the EASO, went directly to the GAS. These were primarily people who were considered particularly vulnerable. Once again, the word vulnerable rears its head, leading many refugees to approach me with questions about why people a few tents down were considered a “special case,” when their situation resembled that of all the other people barely surviving in the camp. Getting through the admissibility interview doesn’t necessarily mean the asylum seekers’ wait is over, however. 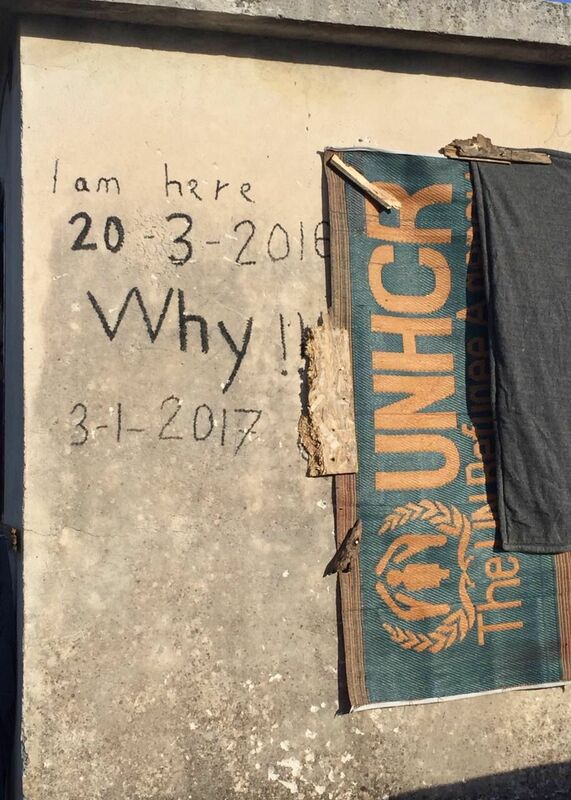 During my brief time in Chios, I encountered several cases where the asylum seeker had passed the first stage and sufficiently proved their vulnerability, only to be scheduled for eligibility interviews in 2019 — over one year later. One young man from Deir al-Zor, Syria, who was a torture survivor, told me that the notion of staying in the camp in Vial for one more year just for the chance to have an interview was unbearable to him. He said that he was considering returning to Syria, where he said a bomb or bullet may kill him, but at least it would make for a quicker death with somewhat greater dignity. The biggest question I asked myself during my three weeks in this “hotspot” was why? — Why was it necessary to confine some 1,500-2,500 people to an island camp with very limited services, as opposed to transferring all refugees and asylum seekers to the mainland and placing them in housing, or allowing them to self-settle. I thought about the billions of dollars that the refugee crisis is said to cost, and wondered where all this money was going, given that conditions in Vial camp were about as rudimentary as I had ever seen? Even at the height of 2015, the numbers arriving in Europe represented only a fraction of those seeking refuge in neighboring countries (Turkey alone has hosted over 3 million Syrians). 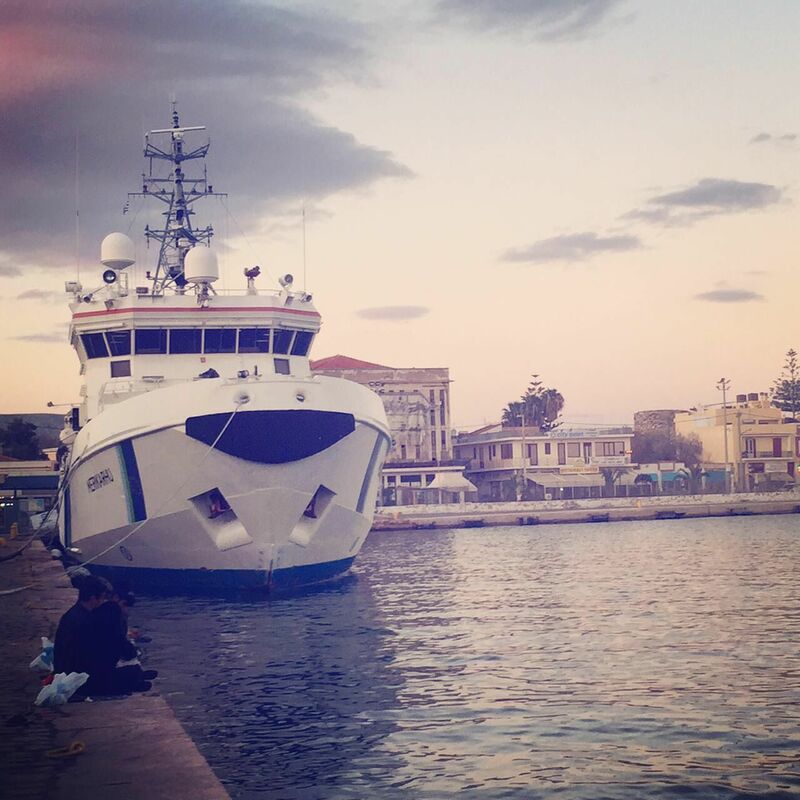 European numbers are much lower, yet locals in Chios still refer to the situation as a crisis. Even the more sympathetic residents of Chios find the present conditions untenable, stating that their island, like many other Greek islands whose economies depend largely on tourism, is not equipped to deal with the complex needs of so many asylum seekers and refugees, who speak so many different languages and some of whom require specialized medical and psychological care. As I reflected on this, the only answer that made sense was that this was part of a deliberate policy meant to deter further arrivals. After all, I had already heard from some of the young men there that they regretted making the journey. Once in Greece, many realized that even if their asylum claims were accepted and they were able to leave the island, surviving in Greece’s faltering economy would be a challenge. As the door to relocation to other European countries swings shut (Germany recently announced it will no longer accept relocations from Greece and Italy), the idea of remaining in Greece has become even more difficult to accept. During my April 2016 trip to Greece, an employee at a Greek NGO, who was of Albanian origin, accompanied me on my visits to the camp. He had come to Greece as an unaccompanied minor during the Yugoslav Wars of the 1990s. He told me that he didn’t understand all the fuss Europe is making about the so-called refugee crisis now, since refugees of previous conflicts — also not small in number — were eventually absorbed by the countries to which they had fled. He conjectured that today’s harsher responses may have to do with the recent rise in populist right-wing movements. Undoubtedly, the ways in which politicians conflate migration trends with security concerns continues to fuel the xenophobia that turns migrants and refugees into scapegoats for all domestic problems. Writing on the issue, author Mohsin Hamid once noted that the question is not whether the people of Europe wish to accept more refugees, but whether they wish their countries to become the sorts of societies capable of taking the steps that will be required to stop the flow of migration. I thought about Hamid’s words often during those three weeks on Chios. I thought about them every time I saw a crowd of refugees gathered around the fires they had lit for warmth, every time I saw the red, cracked hands of women forced to wash their children’ clothing in ice-cold water and every time someone who had fled war, oppression or even abject poverty asked me, “Really, so this is Europe?” Indeed, looking at the current conditions in Greek camps, it becomes all too easy to conclude that the process of halting migration is already rigorously underway and that this is, unfortunately, today’s Europe. *Some of the names in this article have been changed to protect the identities of the individuals mentioned.